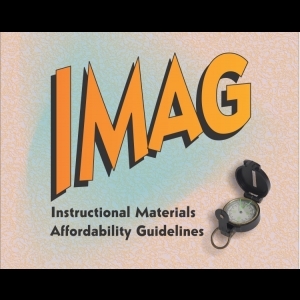 Student Life	 The IMAG (Instructional Materials Affordability Guidelines) have been formulated to comply with newly enacted state and federal legislation to reduce the high cost of textbooks and other materials to students. The Guidelines also are designed to enhance transparency and disclosure with respect to the selection, purchase, sale, and use of course material. A lighthearted look at the IMAG and how it relates to enacted state and federal legislation, College faculty, and MC Books & More to reduce the high cost of textbooks and other materials to students. Embed "Instructional Materials Affordability Guidelines" on your page.